Compressed Natural Gas, also well known as CNG, is an auto fuel in Gaseous state. 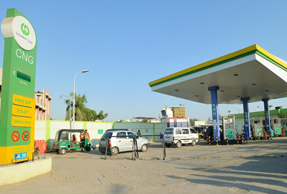 Mainly comprising of Methane (80% to 90%) CNG is low density and is compressed up to 200 bar pressure so that it can be stored in a larger capacity in the fuel tank. Hence, it is named Compressed Natural Gas. This natural gas is mixed with an odorant to add flavour similar to the odour of LPG from a domestic cylinder so as to facilitate detection of its leakage.